We are excited to announce the 2016 NSI sessions. While we are still finalizing a few additional sessions, this list should give you a good idea of the sessions being offered this year to begin planning your itinerary. You can select a single track of six sessions or create your own custom schedule by selecting from multiple tracks. Download the session list here. Among those sessions, we are offering new panel discussions that will give you an opportunity to interact and ask questions. Discover Insights from the American Association of School Administrators Collaborative: Hear how superintendents and members of the AASA Collaborative for Innovation and Transformational Leadership are working to transform schools. Ask questions to gain greater insights into the work and findings of the Collaborative. 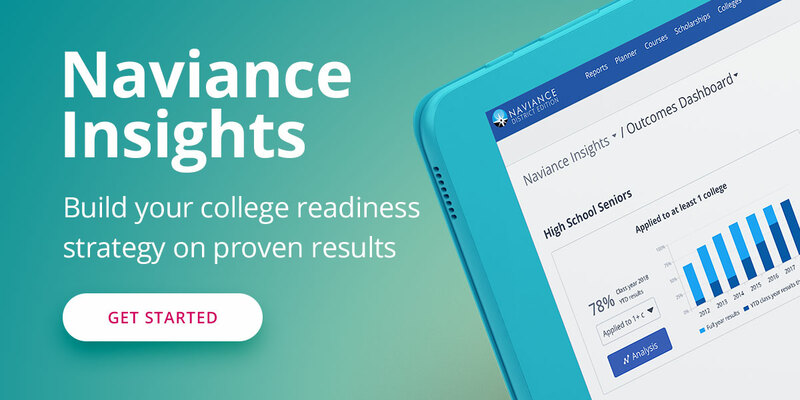 Engage Your Teachers: Listen to experts from schools and districts as they discuss how to leverage Naviance with teachers in varying environments. Ask questions to gain greater insights into how to best partner with teachers for student success. Education Advances Award Finalists: A discussion featuring Hobsons Education Advances Award finalists. These distinguished Naviance users and leaders have demonstrated successful outcomes. Ask questions to find out how you can do the same for your school or district. The moderators of each panel will include a mix of prepared questions and live questions from the audience. To help ensure a quality discussion, we are collecting some questions in advance. You can submit your questions here.